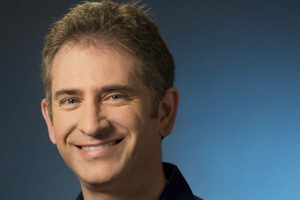 Blizzard Entertainment president, CEO and co-founder Mike Morhaime returned to his alma mater Wednesday, speaking before hundreds of UCLA Engineering students, about his journey from a UCLA electrical engineering major, to starting a video game company, to running a global entertainment software company. The talk was part of the Ronald and Valerie Sugar Distinguished Speaker Series. It was moderated by computer science professor Jens Palsberg. Morhaime noted his first experience with computer programming was on a 1980s-era home gaming system called Bally Professional Arcade, a contemporary of the Atari 2600. At UCLA, Morhaime earned a bachelor’s degree in electrical engineering in 1990. He and fellow UCLA Engineering alumni Allen Adham and Frank Pearce founded Blizzard in 1991. Morhaime said that he and Adham got to know each other in classes. It was Adham who convinced Morhaime to leave his first job at a data storage company and join him in starting the video game company that would become Blizzard. “If we put our minds together, we can do anything,” Morhaime recalled Adham saying at the time. Morhaime has been Blizzard’s president since 1998. Under his leadership, the company has grown from a third-party development studio into a premier publisher of entertainment software, including nineteen #1 games and garnering numerous Game of the Year honors. Today, it has multiple offices in North America, Asia, Europe, and Latin America, and thousands of employees worldwide. 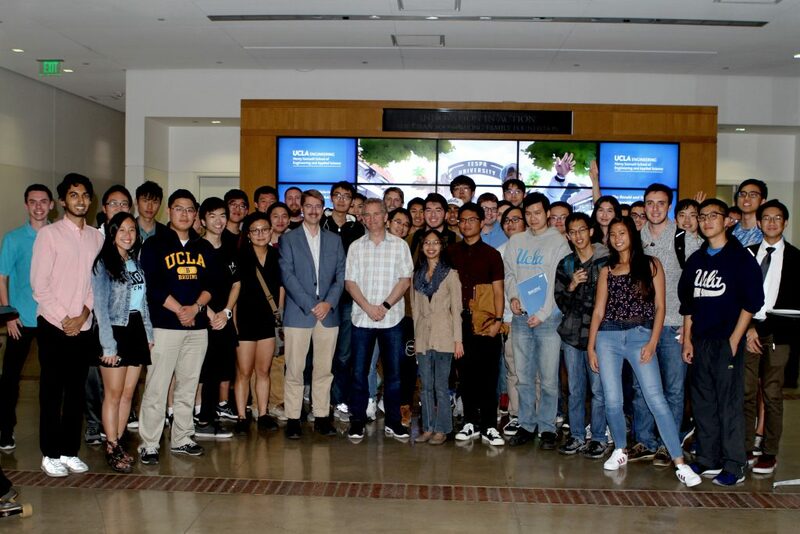 When asked about general career advice for students, Morhaime noted that he did not think he’d have a long career leading a gaming company, but that his UCLA Engineering education prepared him for a lot. Morhaime then offered some additional guidance, initially given to him by Adham, that has stuck with him for a long time and is now something he continues to pass on, particularly when employees are facing a challenging project. Looking back, Morhaime, who didn’t set out to be in video games, cannot imagine being in any other industry. The Ronald and Valerie Sugar Distinguished Speaker Series was made possible by a major gift to UCLA Engineering in 2016 from the Sugars, both alumni of UCLA, for student enrichment. The next speaker series program is on January 17, with Henry Samueli ’75, MS ’76, PhD ’80, co-founder of Broadcom Corporation, CTO of Broadcom Limited, and the namesake of the engineering school.